This edition of MRM New Bites includes a restaurant and entertainment destination from superstar recording artists, new destination dining from a superstar chef and superstar-level sustainability in Yellowstone. Send news items of interest to Modern Restaurant Management magazine’s Executive Editor Barbara Castiglia at bcastiglia@modernrestaurantmanagement.com. 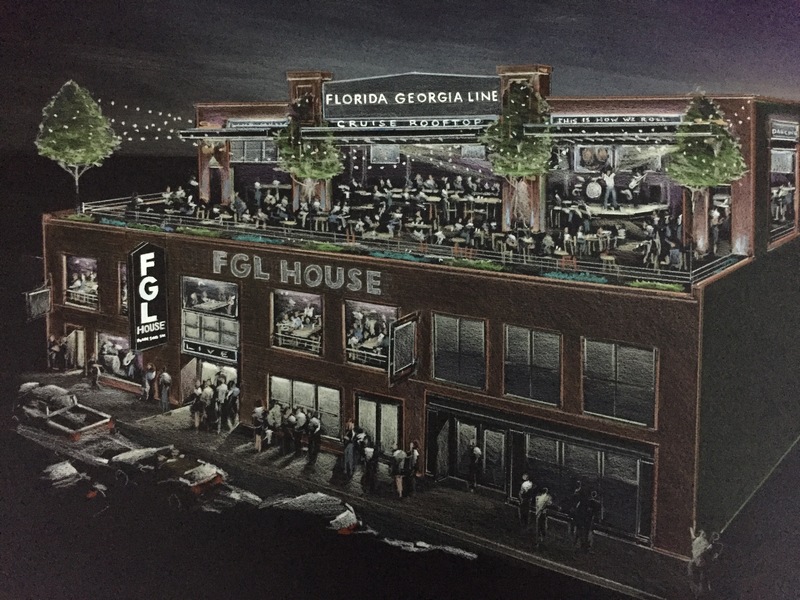 Multi-platinum recording artists Florida Georgia Line will establish their first restaurant and entertainment destination, a four-story attraction in Nashville’s SoBro district called FGL HOUSE. It is expected to open in early summer 2017 in partnership with LRC Group. “What excites Tyler and I the most is always staying creative. We love seeing what fresh things we can come up with to take our music to a new level and turn our dreams into reality,” said Brian Kelley. Situated on 3rd Avenue South, the new venue will feature edgy live music every day – focusing specifically on today’s country trends. The kitchen will fuse unique Southern style cuisine with California flair, and bars on each floor will serve local craft beers and cocktails – many featuring the red-hot duo’s own Old Camp Whiskey. 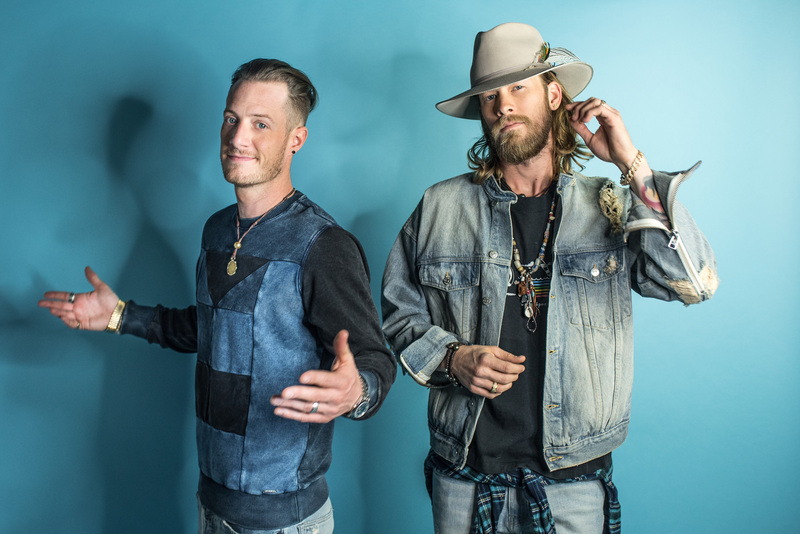 FGL HOUSE will also boast the largest “Cruise” rooftop Nashville has to offer, dedicated to an all-day and all-night party with views of the Music City skyline. 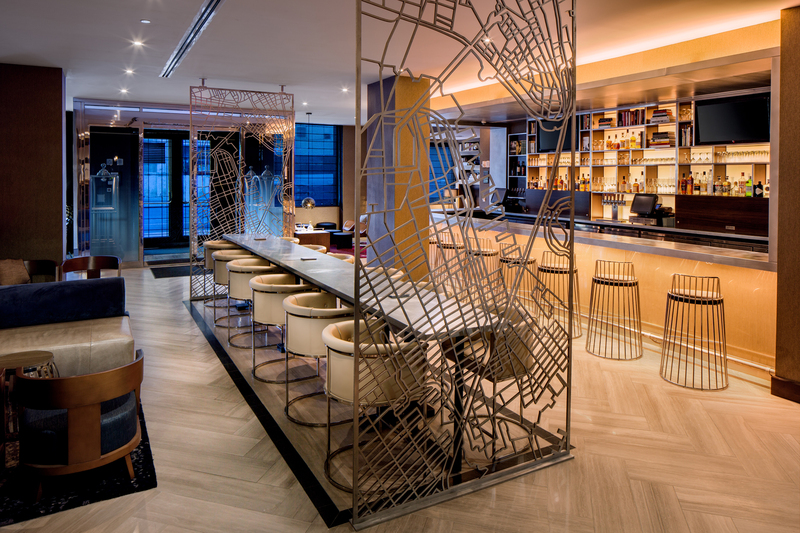 Guests also have the option to step away from the hustle and bustle to relax in a classy basement-level lounge, complete with its own baby grand piano, cocktail menu inspired by ’90s pop culture and specialty martinis. A video wall will continuously showcase content from Florida Georgia Line and other country stars – as well as sporting events – and Dee Jay Silverwill spin custom country mixes during can’t-miss Country Club Tuesdays. Does the lasagna at the top of the page make your mouth water? You can thank Michael Symon, chef, restaurateur, Iron Chef and co-host on “The Chew” for that. He is bringing homestyle Italian fare to Atlantic City’s Borgata Hotel Casino & Spa with Angeline, a restaurant named for his Sicilian mother, Angel. The menu is inspired by the food Symon grew up eating, and begins with a selection of antipasti including Mom’s meatballs, baked clams and tasting boards of salumi. Housemade pastas follow, such as linguine with clams + pancetta, cavatelli with Sunday sauce and ricotta and chitarra with anchovy and mint. Entrees include classics like shrimp scampi, eggplant parmesan and Mom’s lasagne, alongside a selection of wood-fired dishes such as brick chicken with marsala sauce and grilled strip steak with porcini crust. To finish: classic Italian-American desserts, including cannoli and Cleveland-style strawberry cassata cake. The cocktail program, crafted by long-time Symon collaborator and bar expert David Earle, incorporates Italian ingredients to reimagine the classics. The list includes the Manhattan Figura, a Manhattan with fig and basil, and the Russo Bianco, an Italian version of the White Russian. Angeline’s robust wine selection, displayed on a floor-to-ceiling wine wall viewable from the main dining room, is divided by country with a focus on Italian varietals. New York-based Parts and Labor Design designed the space in collaboration with Symon’s wife and business partner Liz Symon. The handsome, rich jewel-toned restaurant was designed to recall both the nostalgic charm of Italian family gatherings and old world glamour, with a grand main dining room and distinctive spaces throughout—a stately front bar, a cozy back banquette and an intimate private dining room. A striking light fixture of brass and glass is room’s the focal point, adding to the restaurant’s many textures: mosaic tile, rich leathers and warm woods. 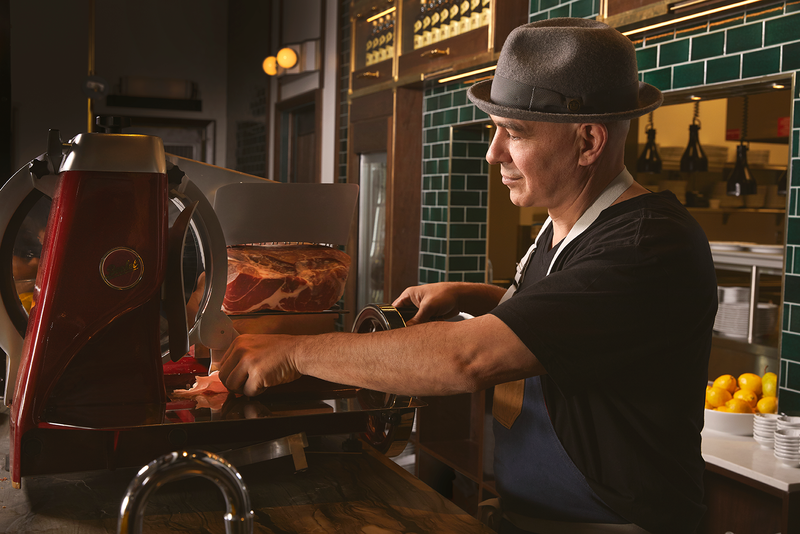 A glass-enclosed custom salumi case offers guests a glimpse into the open kitchen. Trout from Idaho. Bison from Wyoming and North Dakota. Beef, goat cheese, and ice cream from Montana. These and other regionally sourced food products served in the dining facilities of Yellowstone National Park are bringing local flavors to the culinary forefront of the nation’s oldest national park. As the farm-to-table food movement sweeps the country, Yellowstone is embracing it with gusto. 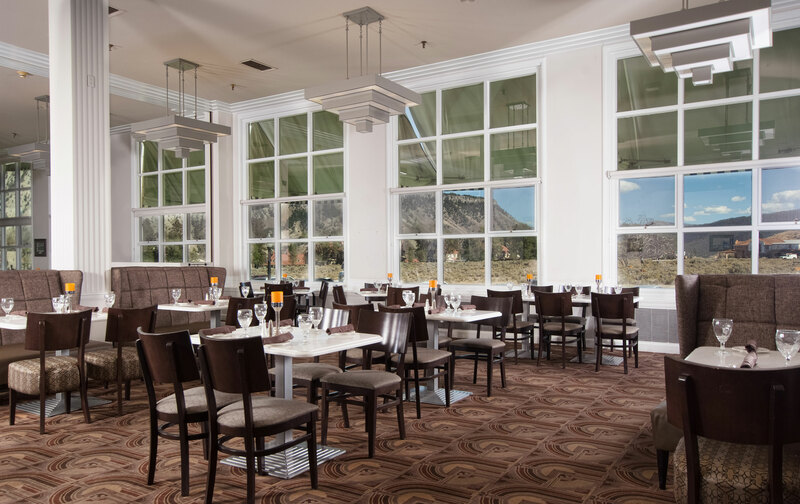 As of 2016, a full 50 percent of the park-wide food and beverage purchases used at restaurants like the Mammoth Dining Room in the Mammoth Hot Springs Hotel & Cabins and other park eateries managed by concessioner Xanterra Parks & Resorts are categorized as sustainably produced. Local and/or sustainable products also include produce, dairy, flour, cookies, teas, and lamb. Last year the park increased its local liquor offerings from six to 19 options, which feature Wyoming Whiskey, Willie’s Montana Honey Moonshine, Montana 1889 whiskey, and Willie’s Huckleberry Sweet Cream Liqueur, among others. Yellowstone restaurants follow a simple philosophy — to provide the highest quality food with the “softest footprint” by finding products that are fresh, locally produced, organic, third-party certified and/or support sustainable farming, fishing, and business practices. Among their many other local food partners are Montana Ranch Beef, Western Buffalo, and Wolf Ridge Lamb & Wool. Mammoth Dining Room is Xanterra’s first certified green restaurant. It received its certification from the Green Restaurant Association (GRA) in 2011. In December 2016, it became the only restaurant in a national park to receive GRA’s Four Star certification, and one of only 25 restaurants nationwide. The Green Restaurant Association is an international nonprofit organization founded in 1990 to encourage restaurants to green their operations using transparent, science-based certification standards. GRA operates in 47 states and Canada, assisting restaurants achieve sustainability in several critical areas including energy, food, water, waste, chemicals and pollution reduction, disposables and furnishings, and building materials. Disposables: All disposables (cups, utensils, plates, etc.) are compostable, with priority given to post-consumer recycled content. Energy: All incandescent bulbs replaced with LEDs (70 percent) or high-efficiency fluorescents. Use of Energy Star-rated kitchen equipment. Food: Ongoing commitment and program to increase the availability of fresh, local and sustainably produced food and beverage items on the menus. Chemical and Pollution: Electric vehicle charging station made available with preferred parking location. Environmentally friendly chemicals are used throughout the operation. Use of low/no VOC carpet, flooring and materials in the building. Waste: Waste is sorted into compostable, recyclable and reusable. Waste vegetable oil is recycled to be converted to bio-diesel fuels. Items such as crayons, glass, metals, cardboard and other materials are recycled or reused. Waste is minimized through such practices as using bulk condiments and serving only draft beers. Water: High efficiency/Energy Star-rated fixtures and equipment are used in bathrooms and kitchen. While reaching 50 percent in sustainable food and beverages is great, the goal is to increase them to 70 percent by 2025. Butler Town Center will bring the nation’s food hall phenomenon to Gainesville when it debuts the Stengel Field Food Hall in late 2018. Boasting a name and architecture that pays homage to the area’s aviation history, the hall will be North Central Florida’s first chef-driven collection of national, regional and local dining options, according to developer and owner Butler Enterprises. Located on the ground level of The Residences at Butler, Stengel Field Food Hall will be curated by local chef and restaurant owner Bert Gill, author of “Pickled, Fried and Fresh: Bert Gill’s Southern Flavors,” the first cookbook to blend North Central Florida’s local foods with Southern cuisine. A graduate of the New England Culinary Institute, Gill will oversee the operations and the selection of a unique combination of vendors within the food hall, and open his latest creation, L’Avion, a distinctive French bistro. 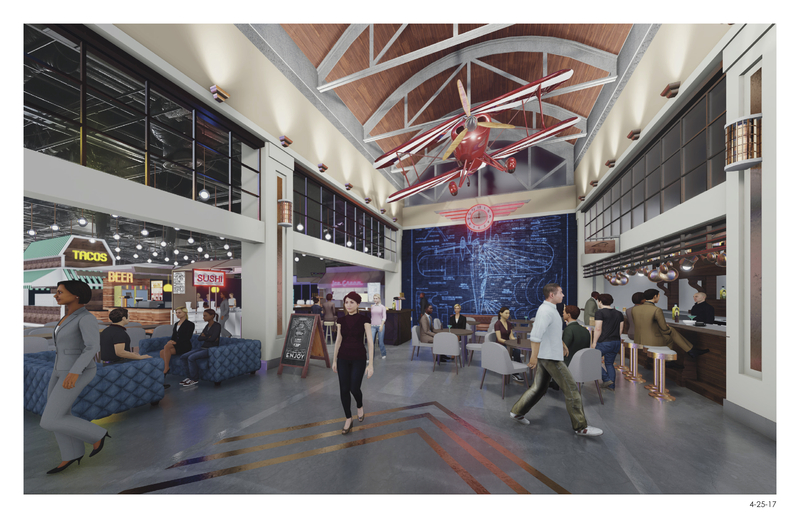 The 13,000-square-foot Stengel Field Food Hall’s design take a page from its location’s history with a Pitt’s Special airplane suspended from the ceiling, amid other aeronautical elements from the 1940s and ’50s. Stengel Field served as Gainesville’s first school of aviation, founded by local aviation pioneer Carl Stengel. There, early aeronautical designer Curtis Pitts built a lightweight, agile Pitts Special, brought to fame by Betty Skelton, the most famous female aerobatic flying champion of her time, with her plane “Lil’ Stinker,” still on display in the Smithsonian Institution’s National Air and Space Museum. The space will house between 11 and 15 vendors, including new food concepts, a craft beer tap room and additional kiosks for fresh flowers, local fruits and vegetables. Butler Town Center will be a Main Street-style, mixed-use project including more than 200 residences, a collection of new-to-market shops, boutiques and entertainment including a 14-screen Regal Cinema, withfood offerings including P.F. Chang’s, Stengel Field Food Hall and the area’s first Whole Foods Market. Patrice & Associates, the only national talent acquisition firm that specializes in the hospitality industry, recently achieved this growth milestone when it awarded a franchise to entrepreneur Margo Kornfeld of New York City. The company has also recently launched a major franchise expansion into Canada and expects to sign 60 new franchise agreements this year. This comes on the heels of a 2016 that saw growth projections exceeded with 50 single-unit franchise agreements awarded and more than a dozen regional developer contracts signed. This resulted in Patrice & Associates tripling its revenue from 2015 to 2016. Every Patrice & Associates franchisee starts his or her entrepreneurial journey with built in clients, that allow for a faster ramp up. Because the brand is nearly three decades old and has built an impressive list of national clients in the restaurant and hotel industries including Buffalo Wild Wings, Panera, Arby’s and HMSHost, franchisees across the nation have immediate clients. Additionally, while each franchisee has his or her own mapped-out territory, they also have the ability to work the entire country. “This business model was created to ensure each franchisee finds quick and sustainable success, all while helping others find better careers,” said Chief Operating Officer, Brian Miller. Rice founded Patrice & Associates in 1989 and began franchising the business in 2010. The franchise focuses on staffing management positions in restaurants, hotels and casinos. Ferrero, the makers of Nutella®, is opening heir first owned and operated restaurant, the Nutella Cafe on May 31. Whether you’re grabbing coffee on the way to work or looking for a neighborhood lunch spot, the new Nutella Cafe will offer an array of all-day dishes and to-go options designed to take your taste experience to new and delicious heights, all with a side of happy. The permanent cafe is the first restaurant owned and operated by Ferrero, promising an authentic Nutella experience complete with a specially curated menu. Exclusive menu items include warm, grilled baguettes with Nutella, fresh-roasted hazelnut and blueberry granola with yogurt and Nutella, and Italian specialties like “Panzanella” fruit salad, and Gelato Affogato, a tasty dollop of Fior di Latte topped with Nutella. There will also be a number of dishes available without the famous hazelnut spread, including a wide selection of savory dishes such as paninis, salads and other unique specialties. 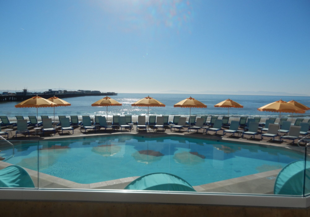 The newly renovated Dream Inn, Santa Cruz’s legendary, beachfront hotel now managed by Woodside Hotels, appointed Ken Drew to executive chef at the property’s waterfront restaurant, Aquarius. With nearly 32 years of experience in the restaurant and hospitality industries Drew will be guiding menu development for the restaurant and hotel as well as oversee all culinary operations including the hotel’s in-room dining and banquet programs. 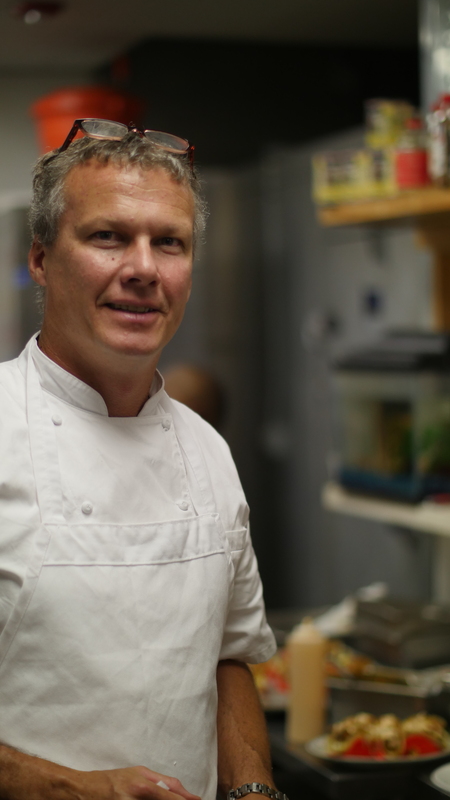 Drew’s culinary career was established in Southern California where he gained experience under European-trained certified Executive Chefs Bob Brody and Jay Pastoral. From there he took the position of restaurant chef at the Sheraton San Diego Hotel & Marina, and then served as banquet chef for the world-famous Hotel Del Coronado. Most recently, Drew served as executive chef for Marriott La Jolla. Drew’s goal at Aquarius is to create and serve simple dishes that showcase the bounty of California’s Central Coast – from fresh seafood caught and harvested in the Monterey Bay to organic produce and sustainable meats from nearby farms and purveyors. Since onboarding as executive chef, Drew has reinvented the restaurant’s seafood-centric menu and added some spring-inspired dishes such as Ahi, Shrimp and Red Snapper Seafood Roll; Baby Kale Salad with Salmon; and Jumbo Shrimp and Angel Hair Pomodoro. 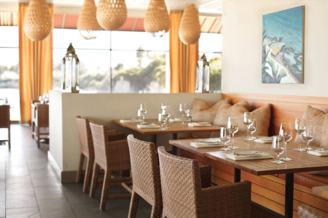 Aquarius offers a modern and sophisticated take on the American Bistro, specializing in sustainable seafood, top-quality produce and ingredients from local purveyors. Aquarius features grand wrap-around windows that lend a breezy, open-air feel to the restaurant and offer big-sky vistas of the sun and clouds by day, and the moon and stars in the evening. A canopy of handmade surfboards and teardrop-shaped latticework lamps hangs languidly from above, while smooth, pebbled flooring in the lounge area transitions to gray slate in the restaurant. Guests can enjoy a drink at the Jack O’Neil Lounge, lined with historical photographs and personal memorabilia of the Santa Cruz neighbor, legendary surfer, inventor and marine advocate, Jack O’Neill. The bar at Jack O’Neill Lounge and small outdoor patio provide a convivial setting for enjoying a glass of wine from Aquarius’s extensive wine list, highlighting wines predominately. 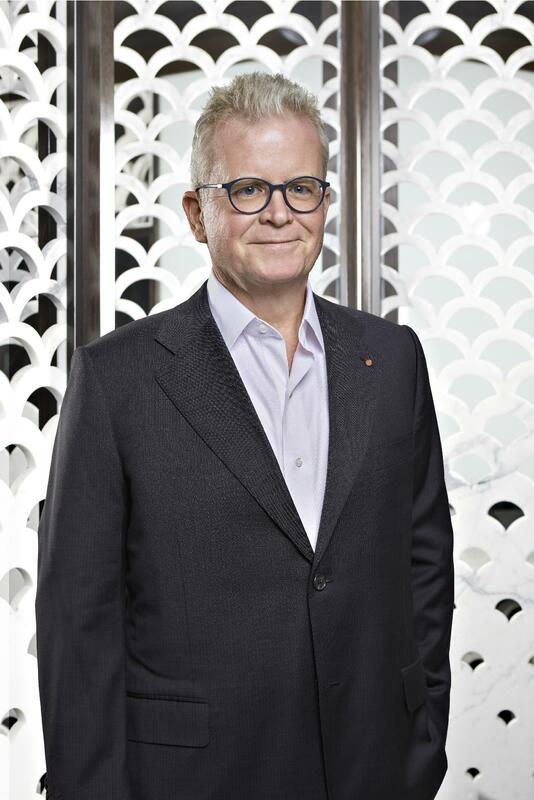 Hakkasan Group has strengthened its executive team with the appointment of Gert F. Kopera as Executive Vice President, Global Restaurants. Having worked in the hospitality industry for more than 30 years, Kopera brings a wealth of global experience to Hakkasan Group where he will oversee the company’s portfolio of restaurants and aggressive global expansion. Kopera joins Hakkasan Group from his position as Chief Operating Officer at D.ream. Previously, Kopera has worked in senior positions with some of the world’s leading hotel companies including Jumeirah Group and Rosewood Hotels & Resorts where he was Vice President, Food & Beverage for seven years. Hakkasan Group is a worldwide hospitality company with establishments across North America, Europe, Middle East, Asia and Africa. Its namesake is taken from its Michelin star restaurant. Its restaurant portfolio includes Hakkasan, with 11 locations worldwide, Ling Ling, Yauatcha, HKK, Sake no Hana, Herringbone, Searsucker and Ivory on Sunset. Under the nightlife/daylife umbrella of brands are Hakkasan Nightclub, Wet Republic, OMNIA and JEWEL Nightclub. Hakkasan Group is fully owned by Alliance International Investments LLC, an investment company based out of Abu Dhabi. 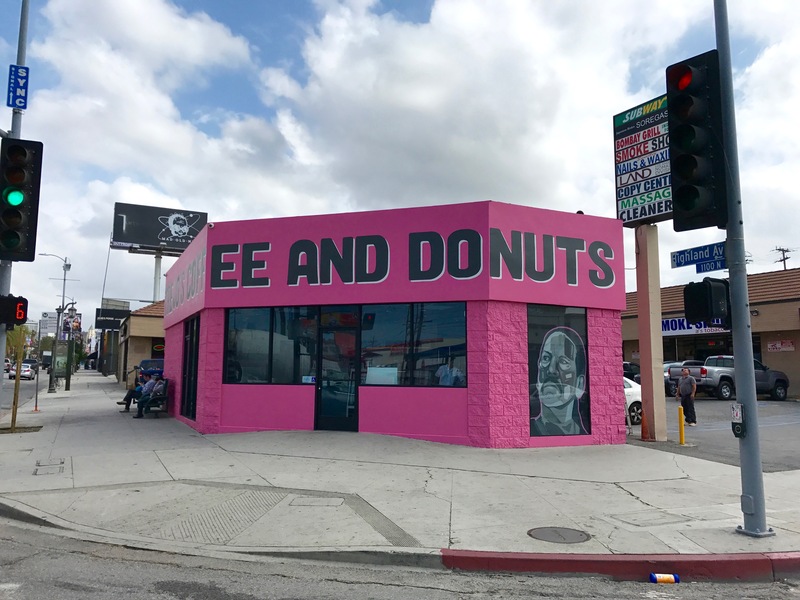 Riding the success of Trejo’s Tacos, Trejo’s Truck, and Trejo’s Cantina – all launched within the past year – comes word that Danny Trejo’s Coffee and Donuts has soft opened at the corner of Highland Avenue and Santa Monica Boulevard in the heart of Hollywood in the former Donut Time space, the legendary hangout memorialized in the 2015 Sundance movie, Tangerine. 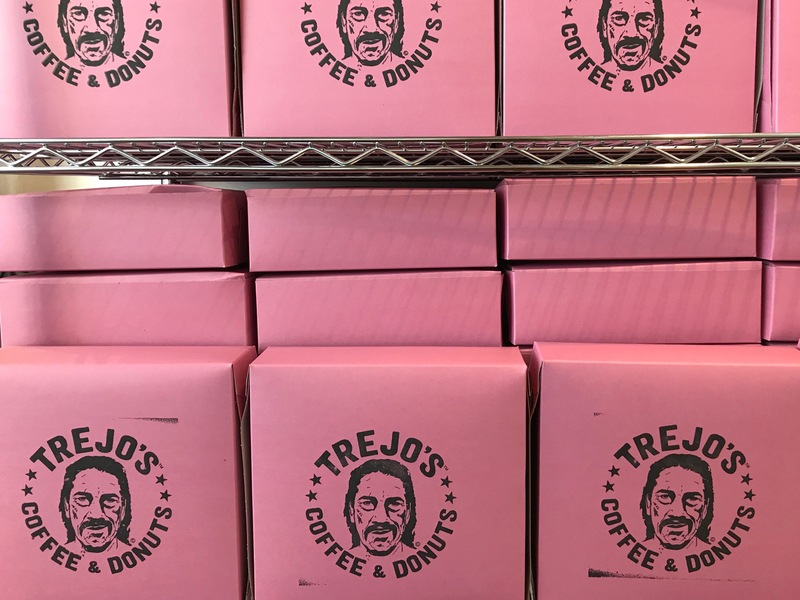 The coffee roasted in Los Angeles for Trejo’s own special blend will headline an array of other drinks, hot and iced, including espressos, lattes and Caffe con leche. The Trejo’s Coffee and Donuts pastry chef is Dianne Crame. Dianne began her pastry career in 2010 at BOA Steakhouse in West Hollywood and worked at various locations throughout Los Angeles such as The Bazaar, Cookbook and Patina. Continuing Trejo’s support of local artists Man One was selected to create two original murals outside of the building. Idan launched its Bain-Marie Baking Mix, providing a high quality and high taste ‘just-add-water’ baking solution for foodservice providers. The Bain-Marie Baking Mixes can be used as a base, with the option to add toppings to produce a delectable baked good that’s delicious and custom-made for each client. Idan offers a full line of both classic and premium baking mixes specifically for the foodservice industry. Chef Works debuts the expansion of their Urban Collection™, a fashion-forward line of apparel and accessories. Chef Works debuted the Urban Collection in 2013. With small-batch additions released each year, 2017 marks the largest product expansion of the Urban Collection, with nearly 250 new products set to debut at the National Restaurant Association Show. While chefs and kitchen staff have been well represented in recent years, designers chose to focus on front-of-house staff this year, who have previously been relegated to ill-fitting shapes, drab colors, and limited options. 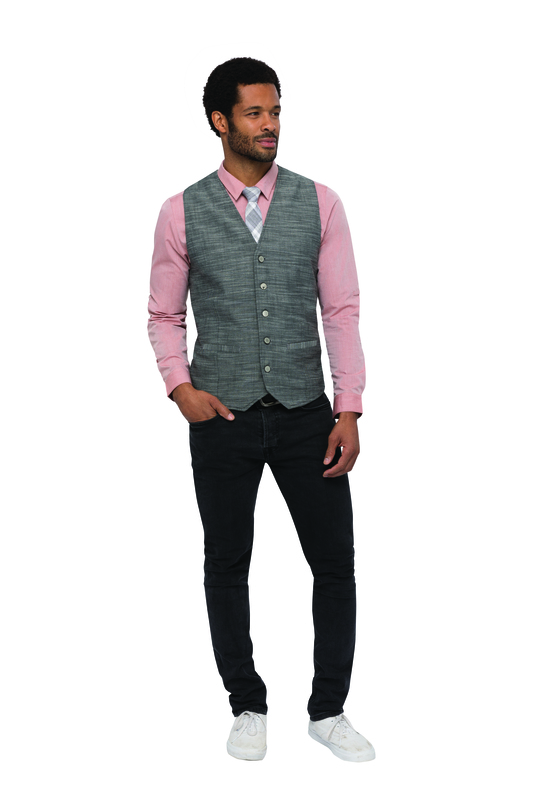 New products include slim-fit shirts, shortened aprons, and fashion-forward pants, creating a trend-setting wardrobe for culinarians across multiple fields. Giving chefs the freedom to express themselves in the kitchen with a uniform choice that matches their personality, Chef Works is rolling out the Berkeley Apron collection, a fully customizable apron that includes snap on suspenders in a range of on-trend colors and patterns. This innovative design removes the traditional neck strap in favor of a cross back strap, redistributing weight and increasing comfort, workability and longevity. Chef Works continues to push the boundaries in wardrobe development, launching ten new coat styles in addition to the new aprons and work wear that expands upon and introduces new colors and fits into their already substantial lineup. Diners won’t have to travel farther south than Brooklyn to enjoy great southern brunch fare, thanks to consulting Chef Rob Newton of Hilton Brooklyn New York’s Black Walnut Restaurant. The new brunch launched on Saturday, May 6. The brunch reflects Chef Newton’s interpretations of the diverse cuisines of the American South and Asia. His roots in Arkansas and years travelling across Asia find expression in such dishes as Country Sausage and Sweet Potato Hash, Fried Chicken Po’boy and Shrimp Roll.